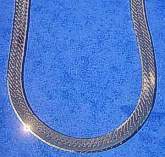 Flat Herringbone design Sterling Silver 925 Necklace with extension chain. 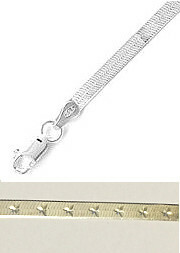 Popular 18 inch 460mm ladies length Herring-Bone design Chain with lobster claw clasp. Wide 4mm Necklace (the last approx 50mm of this chains length is an extension curb style chain).